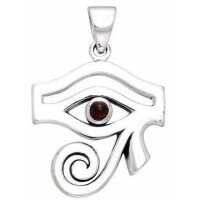 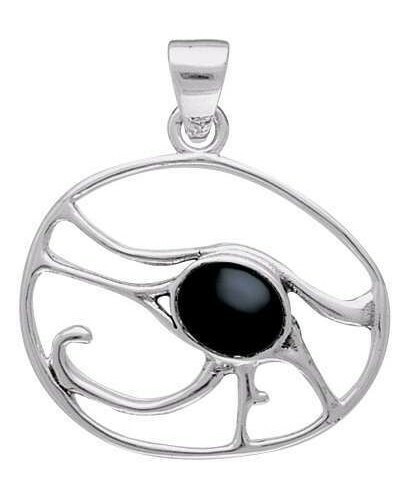 A modern Egyptian Eye of Horus sterling silver pendant features your choice of gemstone. 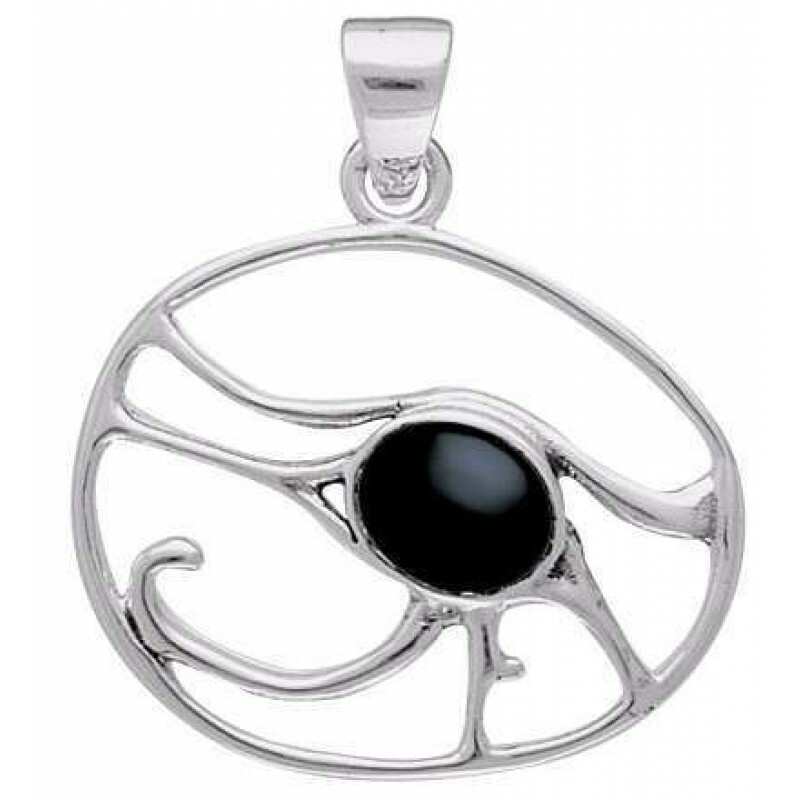 An abstract version of The Eye of Horus (the Egyptian symbol of protection and royal power from deities) this pendant is subtle in its imagery yet holds a strong energy. 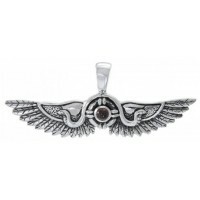 Pendant is 1.05 inches tall including the attached bail. 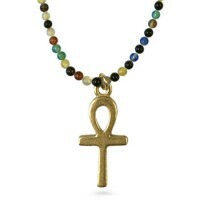 Lapis is synthetic, all others are natural gemstones. Item Number: PS-TPD3306 | Approximate Size (Inches): 1.23 wide x 0.05 deep x 1.05 high | Approximate Shipping Weight: 0.25 lbs.